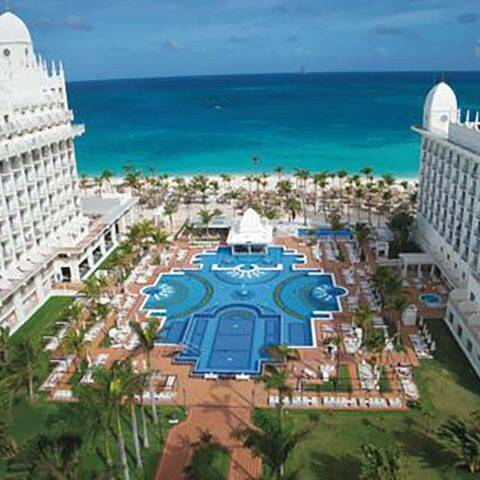 The Hotel Riu Palace Aruba (All Inclusive 24h) is situated on the vast strand known as Palm Beach in Aruba, with white sand and crystal clear water. This magnificent Palace offers you everything you need to relax and regain strength during your stay. You’ll find two fresh water swimming pools, a jacuzzi, sauna, gym, solarium-terrace and the health and beauty centre with a range of treatments, not forgetting the warm ocean to be enjoyed at the beach. The Hotel Riu Palace Aruba is the place for you, as the All Inclusive system provides the best activities, entertainment and fun. By day, you can enjoy the entertainment program for adults and by night, you can listen to live music or try your luck at the casino. Cool Casino was designed with every player in mind. Whether you’re a seasoned card player, a roulette wonder or a casual slot machine marvel, it’s all here! Come in today and find the most courteous staff!